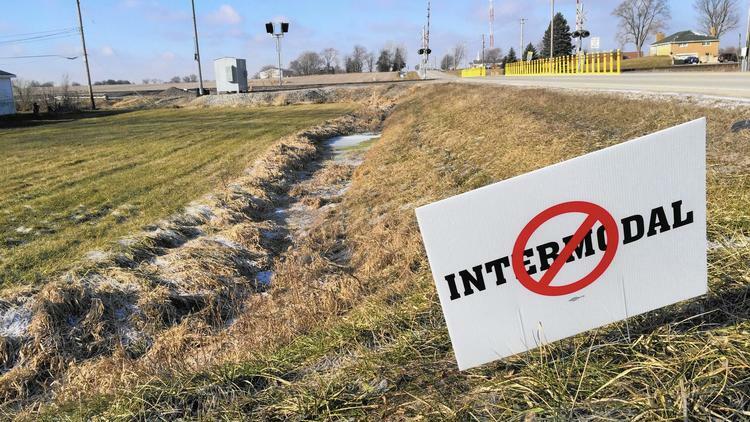 In recent months, the town Crete, Illinois has been experiencing quite the uproar as rail-based transportation company CSX continues to move forward on their plan for the Crete Intermodal Terminal (CIT). While CSX calls this a state-of-the-art terminal, an increasing number of people are speaking out against the implementation of the project. One of the main impacts of the Intermodal Terminal is the huge shift from moving freight by semis to moving freight by train. 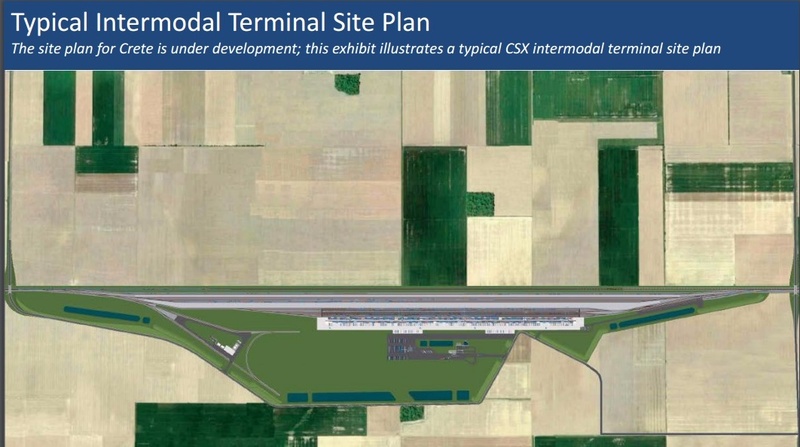 To understand the vast impact the Crete Intermodal Terminal could cause to those currently holding a truck driving job, one must understand exactly what CSX has planned for the implementation of the CIT. 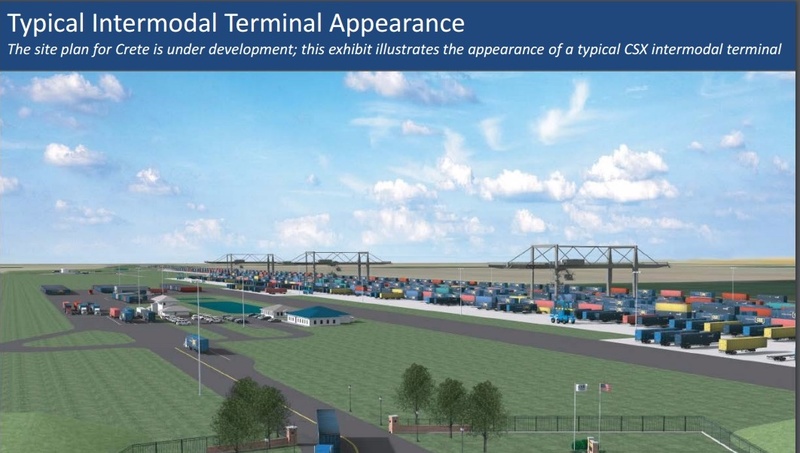 Looking at the fact sheet their website offers promises the terminal will create jobs, reduce costs of shipping, and increase road safety, while also mentioning conspicuously that it will “...add vital capacity...” to the current infrastructure. CSX also claims that these claims will not only be great for Crete and Illinois, but also go as far as benefiting the entire nation. CSX also claims that the Intermodal Terminal will be better for the environment as trains are four times more fuel efficient than semi trucks. According to their website, this transition from truck to train will sustain their already adapted environmental impact sustainable technology and equipment that will then reduce the amount of energy used by the company. Another claim CSX has made is that this switch will also be better for the infrastructure and roads, as fewer trucks will be needed – prolonging the life of the highways. This, in turn, will also improve the overall air quality throughout the nation since there will be less emissions coming from trucks. Since there will be fewer trucks on the road, highway congestion will also be decreased meaning, as they claim, an increase in overall road safety. Simply put, intermodal transportation is the general term for any sort of product that reaches its final destination through more than one form of transportation. For the proposed terminal in Crete, this means that the products will arrive at the terminal on trains or semis to then be sorted and moved with cranes to a different train or semi to then be taken to wherever it needs to go. CSX claims that this sort of transportation is best because it combines the fuel efficiency of trains with the movability of trucks. Another fact they claim makes intermodal transportation better than hauling by semi truck is that they are capable of carrying much more than a single semi. This is accomplished through “double stack” where one train car will carry two containers stacked on top of each other. To roughly translate the amount a single train can carry, is the equivalent of what 280 trucks is capable of transporting. CSX also says that by switching only ten percent of what trucks carry in a year would see a reduction in greenhouse gasses by over 12 million tons. CSX base a lot of their claims about moving from trucks to trains based solely on their attention to the environment. In the past ten years, they have used $1.75 billion of their revenue to improve their train's fuel efficiency while also working towards reducing the amount of emissions a train produces. Last year alone they also spent $2.7 billion to make sure their network and operations ran as smoothly and cleanly as possible. CSX is already fairly well established within Illinois as it is now. Throughout the borders, they operate and maintain close to 1,400 miles of track while also maintaining 880 public and private grade crossings. One complaint offered by the area's residents was that CSX does not provide a living wage to its employees, but they claim that Illinois employees were paid nearly $78.7 million in 2015 alone while also employing 980 people, which translates to over $80,000 per employee. Another large cause for concern is the fact that only ten years ago, a very similar plan was set in motion for the CenterPoint Intermodal Center – on the exact same land. Unsurprisingly, residents opposed to terminal then as they felt there was no clear plan on how it would be built and maintained. Because of the large concern residents of the area had, it never came to fruition. CSX is also hoping to build an overpass in order to accommodate for more train traffic. Tom Livingston, regional vice president of government and community affairs for the company, said that the current two-lane road sees about 3,550 passenger vehicles, 60 buses, and 41 trains every day. With the implementation of the overpass, the amount of trains seen will increase to 47. With the amount of concern from the residents this has already caused, it feels less than reassuring to hear from Livingston that there is not really any sort of plan yet and that they are still “...kicking the tires.” However, Livingston says that the company does want to complete the terminal the right way and is willing to listen to what the people have to say in order to form a better plan that will make both the residents and CSX happy. During a recent public meeting, Reggie Greenwood, deputy executive director of economic development for the South Suburban Mayors and Managers Association, expressed that he only saw benefits coming from this project, but with an entire city up in arms about it, who exactly are these benefits meant for? He also mentioned that while he respected the opinions of the people of the town, the terminal would continue to secure the area's position as a rail transportation hub. According to their vague plan, CSX hopes to have everything approved by the end of this year and plan to break ground on the project by early 2018 and then built and fully operational by 2020. They also expect to need a permanent staff of 200. What the plan doesn't account for, though, is that it will be a huge blow to the trucking industry. While CSX does admit that it will need the use of semis to haul goods, it also bases most of its environmental claims on the fact that it will shift away from truck driving jobs. It is a negative balance of CSX saying that it will create more demand for a trucking job, but does not want to admit that it is also potentially taking many jobs away from drivers. Over 8.9 million people work in the transportation industry within the United States including everything from commercial companies, warehouses, and private sector jobs, 200 positions in Crete is not going to make up the difference. In 2006 alone, the industry covered 432.9 billion miles, with Class 8 trucks driving 139.3 billion miles of that – an increase from 2005 by 9 million miles. In California alone, there are over 120,000 openings for drivers. Taking this fact into account means that there is obviously a growing need for drivers and that will not continue if more places begin to make the shift to intermodal terminals.